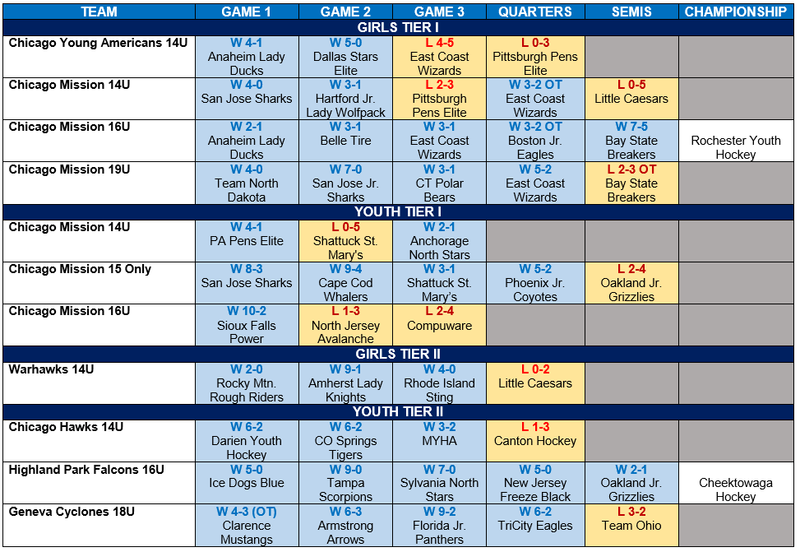 Six (6) Illinois teams advanced to their respective USA Hockey National Championship semifinal rounds – Chicago Mission Girls 14U, Chicago Mission Girls 16U, Chicago Mission Girls 19U, Chicago Mission 15s, Highland Park Falcons 16U and Geneva Cyclones 18U. We are excited to announced that the Chicago Mission Girls 16U and Highland Park Falcons 16U teams will be competing for a National Championship title! Please see below for opponents and game times. Good luck Mission Girls and Falcons on your quest for a National Championship title!